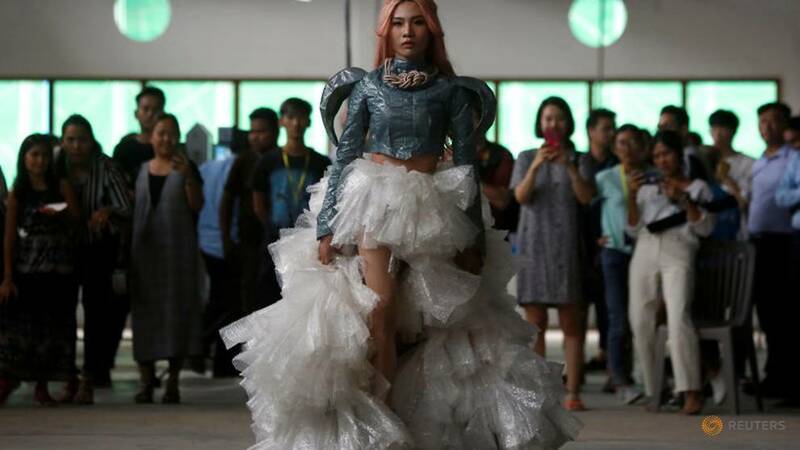 PHNOM PENH (Reuters) – From a dress inspired by the plume of a peacock and fashioned out of bottle caps and cement sacks, to a black and orange tiger outfit made of plastic bags, one group of LGBT fashion designers in Cambodia crafts beauty from trash to battle discrimination. “Just five or 10 years ago, Cambodians saw the LGBT community as social trash,” said Ith Sovannareach, founder of La Chhouk Recycled & Creative Fashion. “People saw them as unnatural strangers. 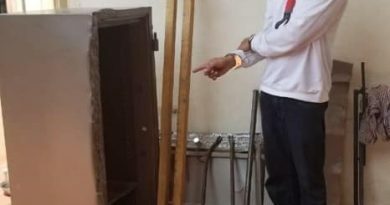 Cardboard, cans, plastic bags – even a toilet roll – have all found their way into the designs of the group from Phnom Penh’s Royal University of Fine Arts. Companies such as Coca-Cola (KO.N), and Heineken’s (HEIN.AS) Tiger Beer have hired Sovannareach’s team to design dramatic garments from their waste products and, late last month, the United Nations commissioned the group to hold a fashion show.